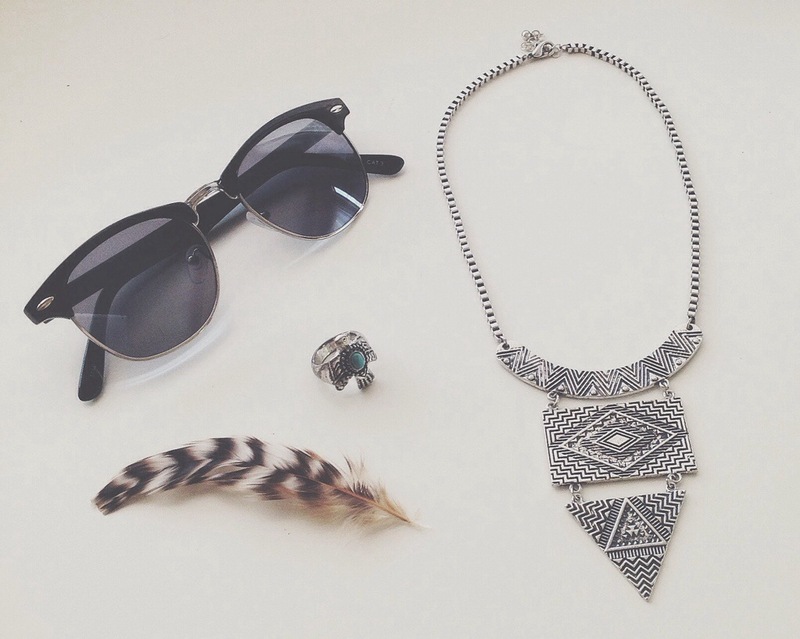 These are a few of my favorite things from Forever 21. I’ve been on the hunt for the perfect pair of sunglasses and finally found them! They were only $5 but I treat them like they’re like a $100 pair of glasses because I love they way they fit and look so much 🙂 I also found this cute native style necklace and ring awhile ago and they continue to be some of my favorite pieces of jewelry to wear, so I thought I would share!